My Rights Law Group specializes in the aggressive representation of individuals confronting the vast power of law enforcement in criminal matters. We are dedicated to assisting those in their darkest hour, facing the possibility of losing their job, their reputation, their friends, their family, their fortune, their freedom or even their life. Our highly experienced team of lawyers and support staff are committed to leaving no stone unturned in our clients’ defense. Kirk Tarman, Criminal Defense Attorney. Mr. Tarman started his criminal defense practice in 1999. He utilizes a “hands-on” approach to the law and does thorough investigative research into the events leading up to your arrest. Mr. Tarman will also interview key witnesses and gather up evidence to support your case and slowly dismantle the prosecutor’s defense. There is no “one size fits all” defense against criminal or DUI charges. Mr. Tarman approaches each case with unique tactics and uses his diverse background to find satisfying and effective resolutions that will specifically fit the needs of each case. He views each client as a valuable individual and not as just another case number. Mr. Tarman has a multi-faceted approach and can use his experience and knowledge to find solutions to tough problems. Mr. Tarman is intimately familiar with criminal law and the legal procedures which gives him profound insight as to the best plan of action he should take with his defense. You and Mr. Tarman will make every decision together, and every decision will be the right one for you. Not many attorneys can truly say that they will protect the best interests of their clients, but Mr. Tarman strives for client satisfaction and productivity. He will work tirelessly and do everything in his power to attain the best possible outcome for your case. With a hard-hitting attorney like Mr. Tarman by your side, you will greatly increase your chances of success in your case. Mr. Tarman received his undergraduate degree from California State Polytechnic University and his Juris Doctorate from the University of La Verne College of Law. He is an active member of the California DUI Lawyers Association, the National College of DUI Defense, the San Bernardino Bar Association, the Riverside Bar Association, the State Bar of California, and the American Bar Association. Mr. Tarman’s practice is focused on helping people charged with crimes in the Inland Empire; in the San Bernardino County courts of Rancho Cucamonga, San Bernardino, and Victorville, as well as, Riverside County. Bobby Shamuilian, Criminal Defense Attorney. Mr. Shamuilian is a diligent and aggressive advocate for his clients. His passion is applied to every single case, and he works tirelessly to meet the legal objectives of his clients. Mr. Shamuilian is an attorney that you can trust, an attorney that has the knowledge and experience which can help you in your legal matter. 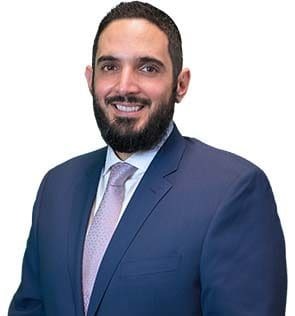 Mr. Shamuilian was raised in Southern California and completed his undergraduate education at California State Polytechnic University, Pomona in finance, real estate, and law. He received his Juris Doctorate from the University of La Verne College of Law, finishing at the top of his class while at the same time managing a technology firm full time, sustaining his family, and growing his passion for both law and technology. 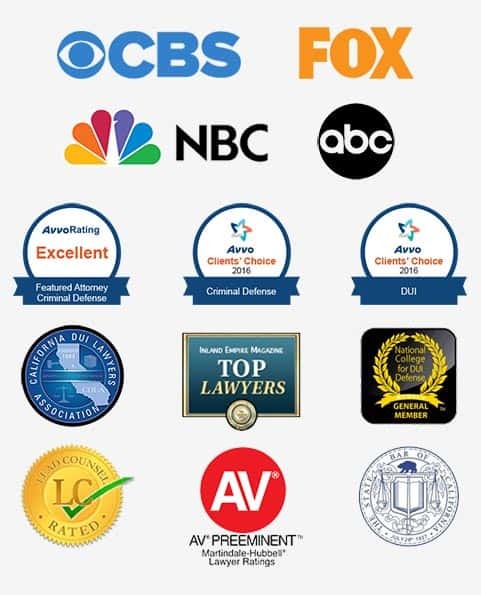 Having passed the California bar exam on his first attempt, Mr. Shamuilian is an active member of the California DUI Lawyers Association, the National College of DUI Defense, the Los Angeles County Bar Association, the State Bar of California, and the American Bar Association. Mr. Shamuilian has achieved stellar results for his clients. His experience is in criminal defense, family law, and personal injury cases. Mr. Shamuilian likes to focus on providing exceptional legal services to those that face hardship and uses his legal knowledge and experience to zealously help individuals facing charges throughout Los Angeles County in the Los Angeles Criminal Courts, as well as, the Inland Empire, and Orange County, California. Mr. Shamuilian resides in Los Angeles with his wife and children. Evan Vargas, Criminal Defense Attorney. Mr. Vargas focuses his research and efforts in all aspects of criminal defense. He was born and raised in Southern California. He graduated from the University of West Los Angeles with a Juris Doctorate in 2003 and passed the California Bar exam in 2004. Mr. Vargas has an extensive background in logistics operations management and D.O.T./FMCSA compliance and therefore, he understands the difficulties that commercial drivers and those who need to drive to make a living experience when charged with a DUI violation. DUI is a complex area of law that can be difficult for the non-lawyer to navigate. A person charged with such a violation needs immediate and aggressive assistance from a skilled defense attorney to investigate their case and develop a strong defense strategy to keep their record clean. Whether, you have been charged with a driving under the influence violation, or any crime, Mr. Vargas will fight diligently to achieve the best outcome in your particular matter. Click Here to Request a No Obligation, FREE Strategy Session Today!